24-inch x 46-inch Fakro FWU-L Left Opening Roof Access Window - ENERGY STAR® The FAKRO FWU Side Hung Roof Access Window is available in right opening FWU-R or left opening FWU-L. This size (24x46) can serve as a roof access or an emergency exit where an extra method of egress is required. The finished pinewood interior is pressure-treated and double coated with a water-based clear acrylic lacquer. The single chamber glass panes are filled with thermal regulating inert argon gas. The tempered glass filters UV rays with a low-emission coating. This ENERGY STAR deck mounted roof window features bracket-free, one-person installation that is suitable for roof pitches between 15 to 55 degrees. A perimeter seal lines the sturdy wooden frame providing a "warmer" roof boarding-window frame joint. Once in the rough opening, 4 to 6 screws (included) secure the window to the roof deck, followed by your trusted brand of water and ice shield (required and sold separately) and finished with Fakro step or high profile flashing (required and sold as a compatible accessory). 24-inch x 46-inch Fakro FWU-L Left Opening Roof Access Window - ENERGY STAR® is rated 3.7 out of 5 by 7. Rated 1 out of 5 by MVM from The window quality is very poor in relation to cost.... The window quality is very poor in relation to cost. The window is constructed with flimsy material. I am extremely disappointed with this purchase and would absolutely not recommend. I will return this window once the replacement arrives as the hole in my roof had already been cut. Rated 5 out of 5 by Daniel from Highly recommended Great solution for an exit on the rooftop. Also good looking. Rated 4 out of 5 by kiwioutdoors from good solid attic egress I bought this for getting onto my roof from my attic (not for the light), so that I can clean gutters and hang Xmas lights. Product arrived with significant cosmetic damage, and screws were loose and rattling around in the box, as were the nails for the flashing kit but I installed it anyway. The mounting method is a bit too precise for retrofit, though it would be a good method for a brand new home. I had to sister up some 1x boards to give the mounting screws something to bite into. Rated 5 out of 5 by kdl97303 from Great value, great price I was very satisfied with the quality and value of the window. We purchased the window and flashing kit. It was fairly easy to install but we used a licensed roofer to install the flashing kit. It fit well and looks great from both the inside and outside. Rated 5 out of 5 by Douglas from Good Product for the price A quality product for the price. Easy instructions with a YouTube video for the install of this product. Every thing you will need to install is included except for tools, and sealants. Even a drive bit for the screws is included! Simple straight forward step by step instructions help you produce an elegant solution for the "Dual Egress" requirements. 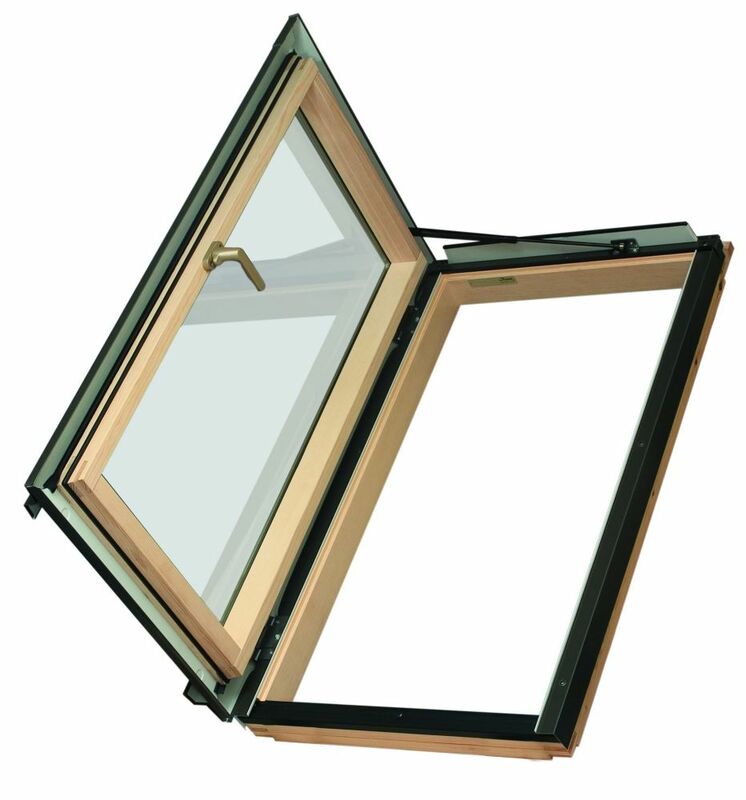 I would recommend this product should you desire or need an Emergency Egress window for your second story bedrooms. Rated 5 out of 5 by Enlightened from Installed by builder - he commented on the high quality. The window is really nice, Strong and of good quality - contractor even commented on its high quality.